Pretty color combined with superb eating quality. 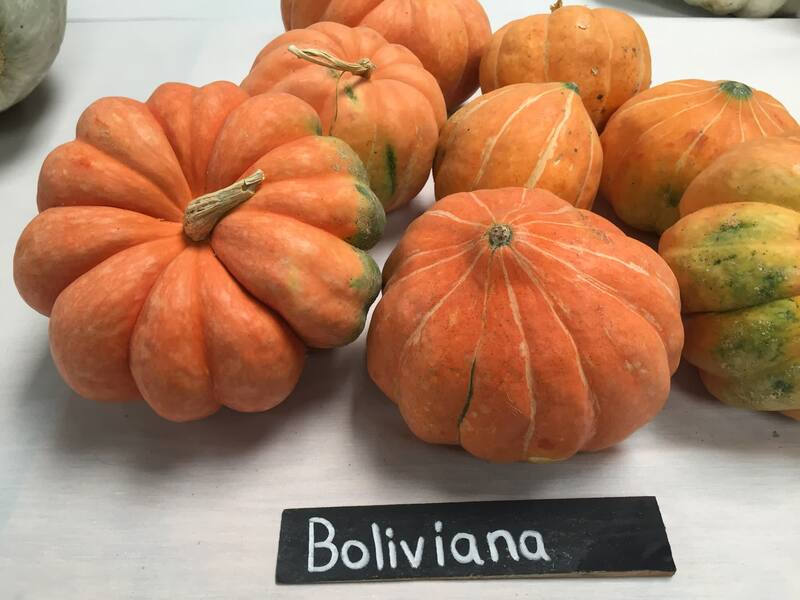 These light pink to salmon 4 to 8 pound squash are the preferred variety for making a traditional Brazilian shrimp and winter squash dish �camaraona moranga� or shrimp in a squash. 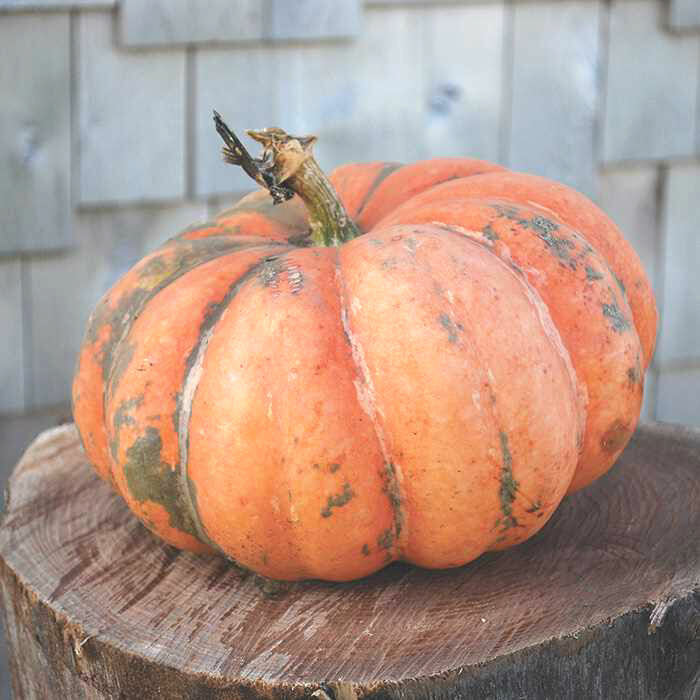 Great for fall decorations, but also stores very well. 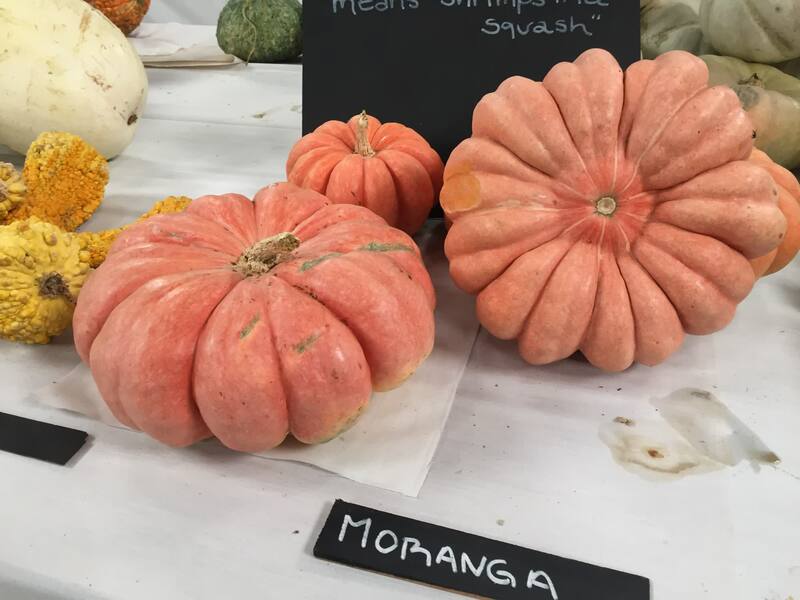 Also known as Pink Pumpkin. 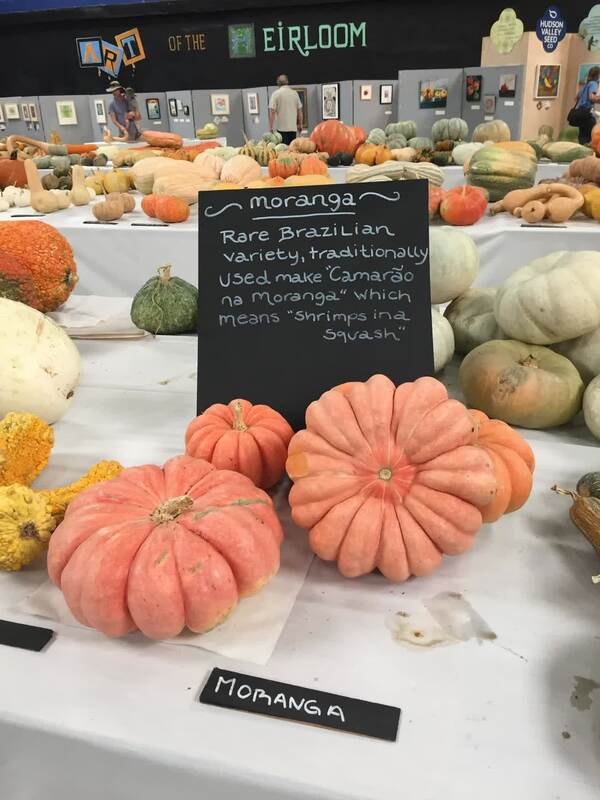 Moranga translates to squash in Portuguese. 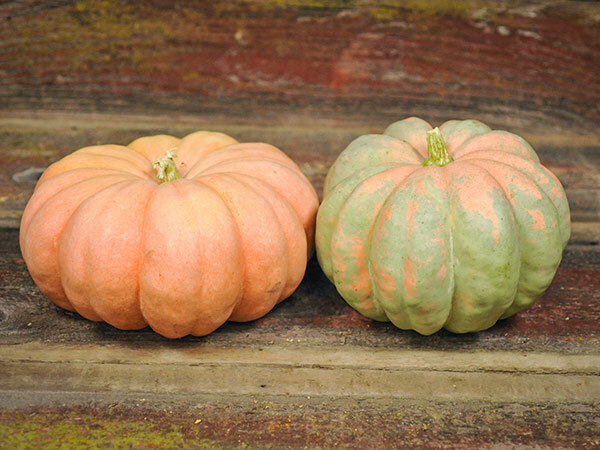 Grown successfully in Ontario, Canada, Texas, California, Michigan, New Hampshire. 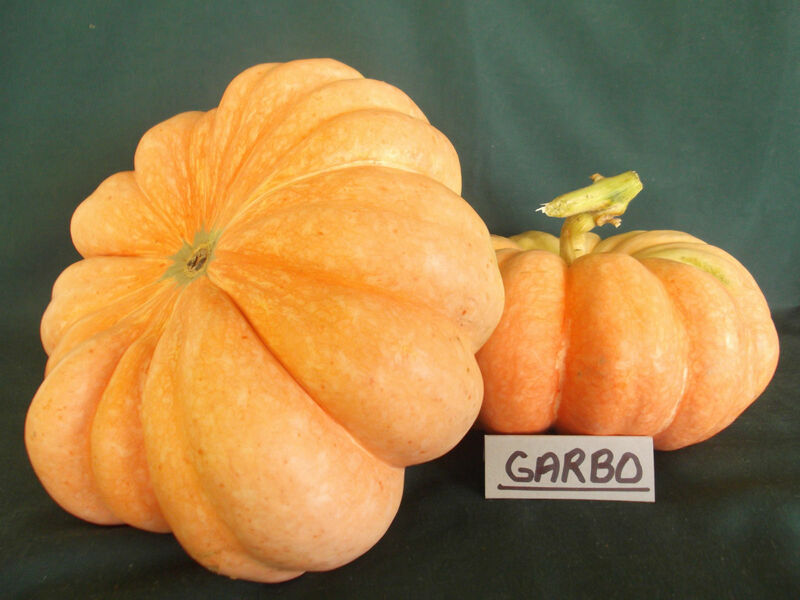 Garbo is a pumpkin variety of recent European breeding with links to a variety from South America. 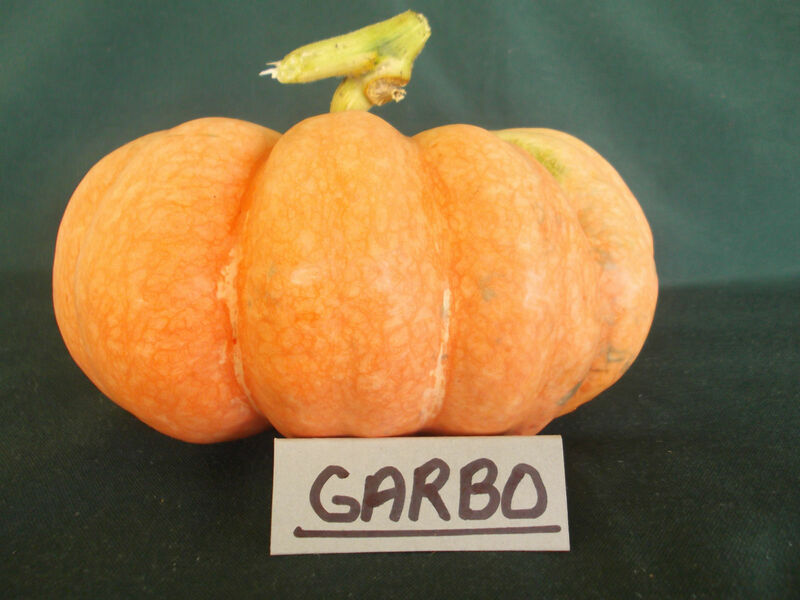 This variety was named after the 1930's actress Greta Garbo, because of it's beauty. 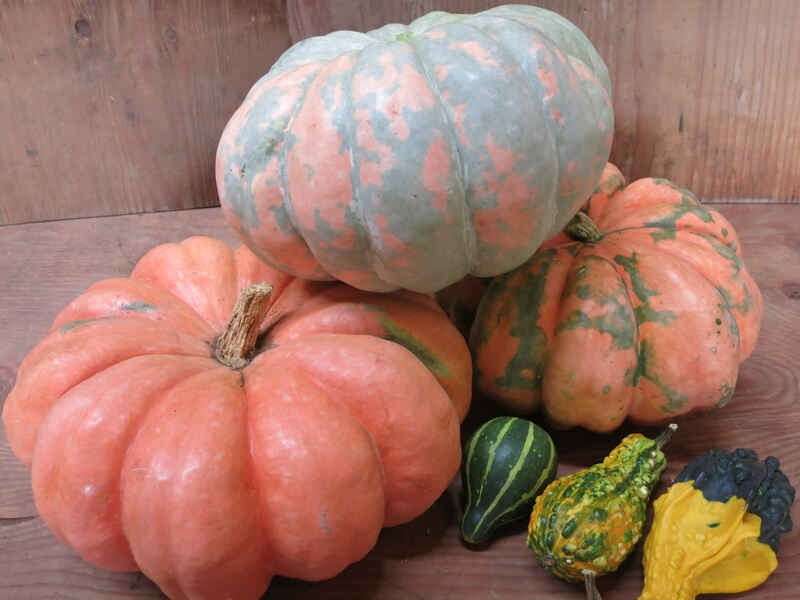 It is a great looking pumpkin, round and flattened, heavily ribbed with a smooth rind who's colour range includes shades of orange, red and terracotta. 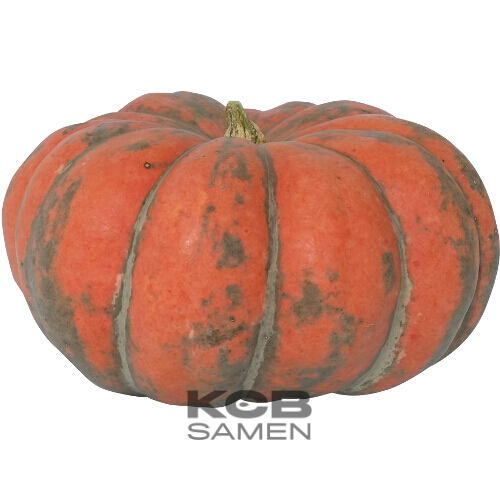 The medium length, tall vines are heavy producers of fruit ranging from 2kg to 4kg in 95 days. 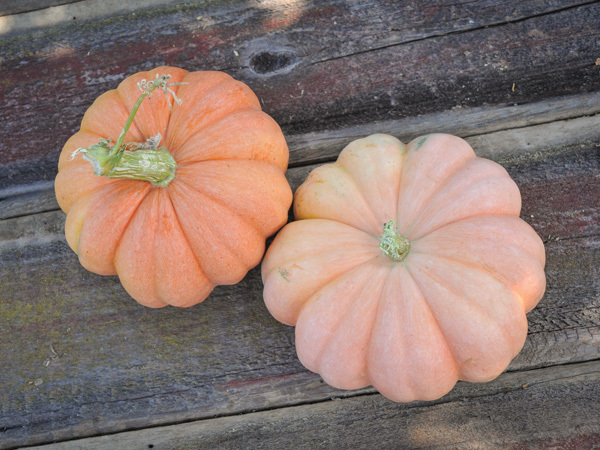 Inside, the yellow/orange thick flesh is moist, smooth and stringless, medium sweet with great flavour.